We’re very excited to join the Palo Alto Networks NextWave Technology Partners Program. By integrating with the industry leader in next-generation security platforms, our customers can expect easier access to real-time threat intelligence that blends web sources with network security sources and malware analysis, driving faster security actions with greater confidence. Threat intelligence from network and endpoint security is a key element of the Palo Alto Networks security platform. Wildfire and Autofocus deliver precise and detailed intelligence derived from malware analysis, within the defended network and from the global community of Palo Alto Networks customers. 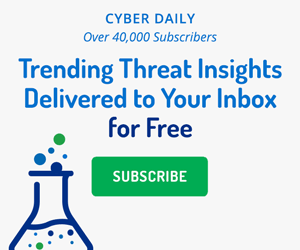 Recorded Future complements this threat intelligence by analyzing threat-related content from the entire web — thus expanding the context around incidents and malcode-derived threat intelligence and adding global sources of threat intelligence completely outside defended networks in the open, deep, and dark web. Instant web context on artifacts and sandbox results in Autofocus, with just a right-click to pull up a Recorded Future Intel Card on IP addresses, domains, hashes, and vulnerabilities. Automated use of Recorded Future’s context-rich IP Risk List with AutoFocus threat intelligence to generate high-confidence security control rules. Splunk incident review workflows that combine functionality from Splunk apps from Recorded Future and Palo Alto Networks. We at Recorded Future see huge potential to apply threat intelligence to security operations by delivering innovation with industry leaders like Palo Alto Networks. To learn more and find out about early access, please request a demo. Watch Marc Benoit and Luigi Mori of Palo Alto Networks (below) present their new threat intelligence integration tool at the April Ignite conference. In particular, they highlight Recorded Future at numerous points — a great start to our newly formed partnership! SOC teams can now use Recorded Future for Splunk to quickly review incidents with context and full transparency to original sources.